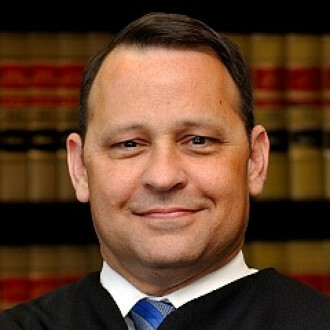 Justice John Lopez IV serves on the Arizona Supreme Court. Before his appointment to the Supreme Court, Justice Lopez served as Arizona’s Solicitor General. Before that, he served in the U.S. Attorney’s Office as Executive assistant U.S. attorney; Chief assistant, U.S. Attorney's office in Phoenix; Chief of the Financial Crimes and Public Integrity Section; and Deputy appellate chief. Previous to that, Lopez worked as a legal advisor in the Regime Crimes Liaison Office of the Department of Justice, as an attorney with Bryan Cave, and a law clerk to Justice Charles Jones of the Arizona Supreme Court.